GMA Doves Awards 2017 Nominations Are Out! Gospel Music Association, the host of Dove Awards has announced the nominees of the 2017 edition of the prestigious event that celebrates artistes, songs, producers and movies that has contributed substantially to the growth of gospel music in the recent year. 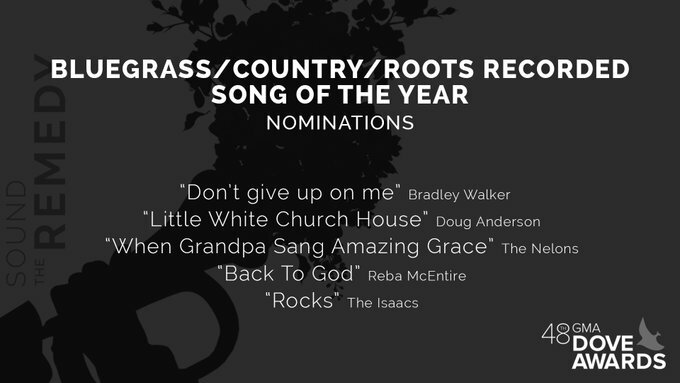 SOme of this year’s nomination include Anthony Brown, Kirk Franklin, Tye Tribbett, Hillsong Worship, Tamela Mann, Hezekiah Walker, Donnie McClurkin, and new comer Bri Babineaux! See the full nominations here.